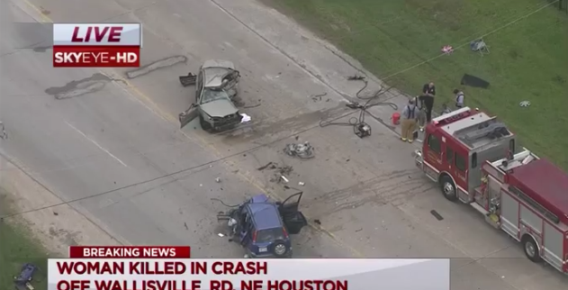 USA; A married mother of two based in Houston Texas lost her life yesterday afternoon in a tragic car accident after she was involved in a head-on collision while she was in a hot pursuit of her husband who was carrying another woman. The woman lost control of her car and went into a spin, striking another vehicle head-on. She died at the scene and the man in the other vehicle sustained injuries and was airlifted to the hospital.